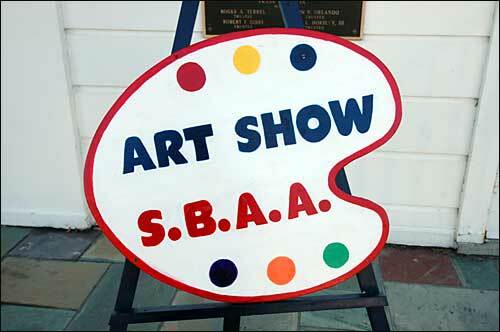 The South Bay Art Association was founded in 1956 to encourage the creation and appreciation of the visual arts. Their activities include monthly meetings with demonstrations, lectures, critiques, morning sketch groups, workshops in various media, exhibits, newsletters, and many other events. Many of the events are geared toward raising funds for the Scholarship Fund. The monthly meeting and demo are held at the Bellport Community Center, 4 Bell Street, Bellport NY. The demo will immediately follow the monthly meeting and is free for anyone who wishes to attend. New members are welcome. The South Bay Art Association holds a sketch group on Tuesday mornings during the school year (September through June) from 10am until about 12:30pm at the Bellport Community Center. In the summer, the group moves outdoors to various locations (TBA) for plein air sketching. These sessions are open to all artists. It is a portrait group with a live model. A small fee will be collected to pay the model, and refreshments are available. *NOTE- The sketch group is usually cancelled in bad weather.